Posted On June 01, 2018 by Team iCynosure. I am a balanced indoor as well as an outdoor person, so my love for books and board games equal to my love for motorcycles and swings. As an occasional rider, I’ve ensured that my motorcycle is set properly and maintained to the ’T’ by the specialist who clearly know my biking goals, so as to ensure my safety and no compromise to my recreational activity. After the important set of getting myself the perfect motorcycle, I now need to get my biking gear in place to become the rider I want to be. The two things that I always keep in mind while picking any product is its usability and style, and both these parameters have to be on-point for me to pick the product. As I was looking for some protective and riding gear recently I stumbled upon BikeBandit.com, that offers the most professional motorcycle riding gear from the best brands in the industry including but not limited to Fly Racing, GMAX, Alpinestars. As I continued to research, I’ve made a list of 5 things every rider must have if you want to seriously pursue motorcycling as a hobby or a recreational activity. Even mommy blogger Jhilmil D'Saha has an inspiring list that you can check here. A motorcycle riding jacket that is lightweight and waterproof, would be most perfect for a biker. The style needs to be well cut in order to be wind resistant, and compact. 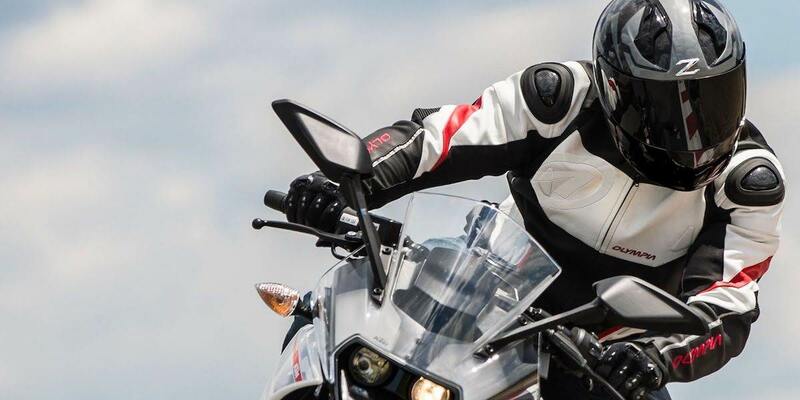 A pair of warm, well-fitted gloves is perfect not only as protective gear against the weather but also for a firm grip on the handgrip is a must for every motorcycle rider. A must for any recreational activity would be a pair of sturdy yet breathable shoes that are made from perforated microtex or anti-scratch leather. Nothing is more important than safety and the first rule of biking safety is a helmet. A helmet with ‘Multi-Directional Impact Protection System' technology, well-ventilated and easily adjustable one is what a biker needs to invest in. A high-quality analogue smartwatch that also doubles as a bike computer, that indicates the speed, riding time and distance covered; that can be clipped on is ideal. If you are looking for specialised motorcycle apparel, it would be most apt to surf an exclusive online motorcycle riding store rather than a general fashion store.